Check out our Health & Wellness page for a full list of weekly fitness classes. Many of these classes are low impact or can be readily modified for mature adults. Contact the instructor for more information! The Hammonds Plains Community Centre is working with interested community members to create new weekly activities or events focused on the needs and interests of mature adults. We need your feedback! What are you interested in? If you wish to get involved with planning or executing these events, please contact us! I am very interested in senior activities however still working until April so only available for evening things until then. Thank you Heather! What activities would you like to see at HPCC? Where is this located in Hammonds Plains? 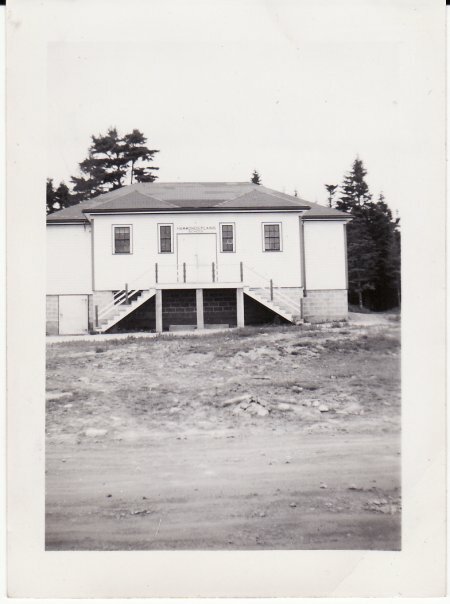 This is the old Hammonds Plains School, circa 1950, after the building was raised for a basement. Today, it’s Hammonds Plains Community Centre, 2041 Hammonds Plains Road. Would love to have a morning fitness class for seniors. There are about 12 – 15 from Bedford that have to go to Sackville for a fitness classes . Would like fitness classesx3times a week mornings around 10:30.(seniors.) Bridge, military whist.other card games, bingo.etc. And not individual charges by instructor. Membership fee plus minimal charge for fitness etc.by the seniors club. Check out the new daytime fitness classes – Mondays & Fridays starting Feb 12, 2018! Contact Dana Hickey – BounceFitness11@gmail.com for more information or to register.